DAMASCUS (AFP) Predominantly Muslim Syria has launched a celebration to mark 2,000 years since the birth of Saint Paul, who converted to Christianity on the road to Damascus and helped spread the new religion to the non-Jewish world. A mass was attended by both Christians and Muslims in the capital of officially secular Syria, with other events being organised over the next 12 months with the help of the tourism ministry. 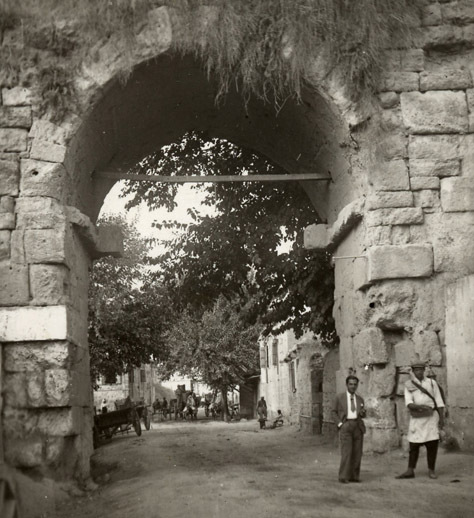 Photograph of St. Paul's gate in the wall of the city of Tarsus in Cilicia in northern syria, now in southern Turkey, the birth place of Saul of Tarsus [Sa'ul Hatarsi], 5 A.D.- 67 A.D.; a Hellenized Jew, who's conversion on the Road to Damascus was to change the course of history, and introduce a Semitic faith to the non-Semitic world of the Gentiles, through his missionary travels to the world beyond the Aramaic and Hebrew speaking east " The Apostle to the Gentiles". 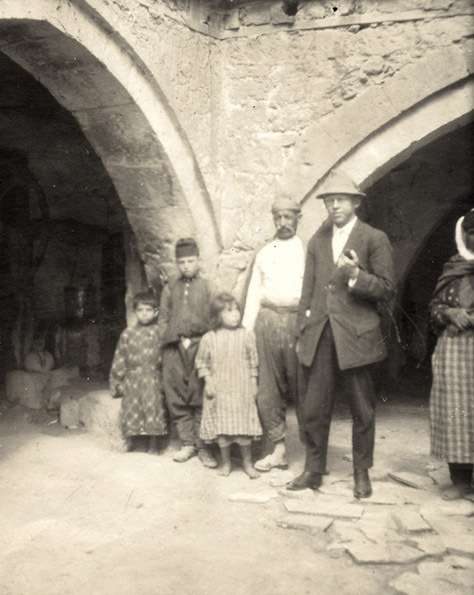 travelling missionary in 1898, in the city of Tarsus in Cilicia. 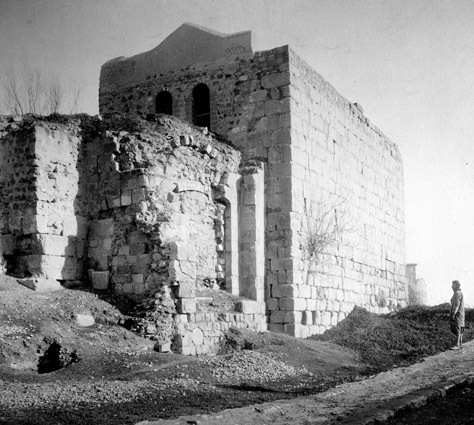 Photo (Bonfils, 1872) of Bab Kaysan, one of the Gates of Damascus leading to the Christian quarter, but next to the Jewish quarter, where St. Paul is believed to havemade his escape, in a basket, on his second visit to Damascus, after returning from his mission to the Arab Nabateans after his conversion on the way to Damascus. The Gate has not been in use since the 16th. century occupation of Damascus by the Ottomans. 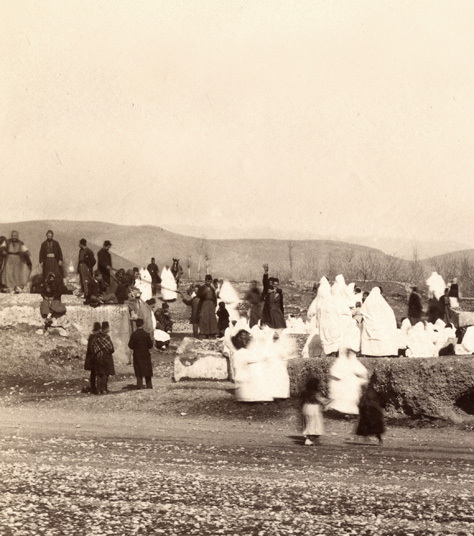 Photograph, by Bonfils 1870, of Christian men and women of Damascus visiting Kawkab, 18 Km. south-west of Damascus, at the spot on the road between Jerusalem and Damascus where it is believed Saul of Tarsus is thought to have been hit by a bolt of Lightning and blinded. Love the pictures but not sure if i am in total agreement with the “officially secular” description. The armed forces and other defense organizations are responsible for the defense of the homeland’s territory and for the protection of the revolution’s objectives of unity, freedom, and socialism. That’s true .. not 100% “officially” secular, but 90% secular in practice. Its funny … I just remembered we had this discussion two years ago on Ammar’s blog (with Ehsani) and I said at the time that it does not make a difference for me if the constitution prevents a Christian Syrian from becoming President because, I argued at the time, in the United States an African American, or a woman CAN be president (officially) but in practice it never happened an it was never even close. I hope this year will prove me wrong. 90% officially secular and around 50% in practice seems more accurate to me. This is because in practice appointments to key positions take secular elements into account let alone the very secular nature of the ruling elite. Also, clergy is appointed by the government We also have a ministry for religious affairs and endowments; state money is spent on clergy and on special Quran schools allover Syria. Therefore there isn’t real separation between religion and state. On the other hand, school textbooks emphasize the secular nature of the state. I would love to see a Christian PM once constitutional life is restored or at least when the PM position holds more significance and independence. I am sure no one wants to see a puppet chrisitan PM in office. أربع أمسيات موسيقية سيحييها الموسيقار زياد الرحباني في العاصمة السورية دمشق بين 15 و18 آب القادم ، ضمن فعاليات «دمشق عاصمة الثقافة العربية». و ذكرت صحيفة الأخبار اللبنانية أن الرحباني الابن سيقدم في أمسياته الدمشقية الأربع،على مسرح قلعة دمشق، برنامجاً موسيقياً وغنائياً متنوّعاً بين قديم وجديد. وكشف زياد الرحباني أنّ برنامج الحفلة يتضمن «مقطوعات موسيقية تعزف للمرّة الأولى… مع احتمال تأدية أغنية جديدة». أما الفرقة، فهي «كاملة» مؤلّفة من عازفين سوريين وأرمن ولبنانيين، يقودها المايسترو كارين دورغاريان، إضافة إلى كورس منشدين سوريين. وقد تم تجهيز المكان ليتّسع لحوالي 5 آلاف مشاهد في الحفلة الواحدة ، أما أسعار البطاقات، فستكون رمزية ليتمكّن جميع محبّي زياد، وهواة موسيقاه في سورية، من المشاركة في سهرة « من العمر»، من المتوقّع أن تبقى في ذاكرة المهرجانات العربيّة والجمهور السوري . وستكون المرة الأولى التي يقدم فيها زياد الرحباني حفلاً موسيقياُ في سورية ، حيث يحظى بشعبية كبيرة في أوساط الشباب وطلاب الجامعات . There is a big difference between the freedom to practice faith and secularism. I totally agree with you.. In fact I say they should cross out the first requirement and keep the second one.. But let’s use the word secularism wisely. “This is because in practice appointments to key positions take secular elements into account let alone the very secular nature of the ruling elite”. Let us assume that you were the President of Syria. Who would you have around you? Presumably, it would be people you trust. No? Bashar has steadily moved to surround himself with people he can trust. It is natural that some of those would be family members especially when it comes to key security positions. He is married to a woman from a Sunni family. He is also known to be on very good terms with a number of Sunni families in Damascus. The same can be said for a number of Christian individuals. You may claim that this is not good enough as those families do not represent the rest of Syrian society. What does he need to do to put those doubt to rest? Invite a group of Ikhwans for dinner at the palace on a regular basis? Again, if you put yourself in Bashar’s shoes, I don’t think that you would behave very differently than he has. The accusations leveled against him when it comes to him being sectarian are overblown and repeated too liberally in my opinion. They did not plead with president Bush , Abdullah, of Mubarak. they asked their president and that is more than what the opposition has been doing for the last 5 years. Of course I would appoint people that I would trust given that they are competent (something totally disregarded by the regime) . However I am sure I can find people to trust among the different sects. The fact that Bashar is not able to do the same testifies that the regime lacks real representation across Syria. Ehsani: He is also known to be on very good terms with a number of Sunni families in Damascus. Well, if you sit with members of those Sunni families they will tell you “in-private” that the regime does not represent them; they will tell you they are just protecting their business interests. Ehsani said: Invite a group of Ikhwans for dinner at the palace on a regular basis? No, instead you allow for political parties or non-governmental organizations that represent the Sunni community’s interest to operate with some freedome. Ehsani: The accusations leveled against him when it comes to him being sectarian are overblown and repeated too liberally in my opinion. Well, then he should open up the security agencies and the army for Sunni’s as well. This is not about whether or not he is friends with Sunni individuals. It’s about excluding a community for the decision making process in the country. Most notable families in Syria are black-listed when it comes to joining the army or mukhabarat. Comedian Sacha Baron Cohen has duped a former Mossad agent and a Palestinian academic into a spoof interview in which they debated the difference between Hamas and hummus. Israeli Yossi Alpher and Palestinian Ghassam Khalib agreed to be interviewed by Austrian television presenter Bruno, unaware that the camp character is Baron Cohen’s latest alter ego. Baron Cohen was finally rumbled when he asked the guests to hold hands and sing a crazy song about the Middle East conflict. The Bruno film is due out next May. Baron Cohen previously duped a host of famous figures in his previous guises as Ali G and Borat. Let me remind you that Hafez Assad was barely in power when the Ikhwan came close to toppling him. It is important to remind yourself of this when it comes to talking about the sectarian nature of the leadership. I think that writing about the regime’s lack of representation credentials and somehow ignoring the events of the late 1970’s does not do the subject matter justice. The rule of the Baath Party lacked representation and as a result the issue exploded when Assad came to power. How does that change the fact that this regime always lacked sound representation and legitimacy and hence resorted to tribal rule? Many observers claim that Asma is very influential in Syria .. she is Sunni. VP Farouk Shara is Sunni … many claim he controlled Syria’s foreign policy. It is not perfect of course … but is it really that bad?? To answer your questions you need to ask Sunnis. Lower class, Middle class, and upper class. I am glad you brought up Nureddin_al-Atassi. Nureddin was a front for minority rule that started in Syria once Salah Jadid group (Durzi, Ismalil, Alawis) took real power in Syria. In fact that’s why when Assad took over the cover was blown and the issue exploded. Sunnis used to call Nureddin “Nureddin el Jahsh” Maybe it’s offensive to bring that up, but it helps illustrate the sentiment towards Nurredine. Disclaimer: Nureddine was a good guy and i hold lot’s of respect to his son Ali. It’s unfair to the Sunni’s to imply that their main representatives are the ikhwan. None of these religious sects are monolithic. Most Syrians of many stripes and colors would claim that this regime doesn’t represent them and this has little to do with non-Sunni Bashar. It has to do with living in a dictatorship. My family comes for a religious minority in Syria and they also say that this government doesn’t represent them. I do have to admit that they’re quite afraid of the concept of the ikhwan and practicing Sunnis are seen as a potential threat if this minority is labeled as zanadiq. If Shia are looked upon suspiciously because of their link with Iran, I can say the same about Sunnis because of their allegeance to a worse sectarian religious country, Saudi Arabia, who is brewing terrorists and ignoring elementary human rights to women and religious minorities. Unfortunatly 9/11 has exposed the proselytism of the wahhabism in Egypt, Pakistan and Afghanistan that has created an upheaval in the region and a profound rejection of Islam in general from western countries and a sympathy to Shia, in the figure of Nasrallah, in most arabs and moslem countries. KSA is now trying to mend their image by organizing a religious get together in Madrid. Why don’t they start by allowing to build churches in the kingdom as a gesture of good will? In my view, the sunnis in the Syria, Lebanon and Iraq are suffering from the results of their big brother’s social and religious repressive society and from the growing power of the Shia in Iraq. They feel they are loosing their aura and they are resorting to accuse the rulers of negligence and injustice. Once Saudi Arabia becomes a ‘normal’ country and abandon its proselytism attitude and cleanup their social-religious oppressive laws, we may see a revival of the sunnis. Now the time is for the Shias. Many Alawites do not like “the regime”, and many sunnis are perfectly fine with “the regime”. Also, most Christians are supporters of the regime despite the fact they are now practically totally out of power. Hafez had many more close Christians near him. I am hoping it is the time for secular leadership … not for Shia and not for Sunnis and not for Christians and not for Jews … if any of those groups played a role that is too prominent, others who are religiously sensitive will resist … we don’t need that. I am supporting restrictions on new political parties in Syria that prevent religious and ethnic parties from entering politics… whenever that promised new parties law shows up. I totally agree about the damaging role Saudi Arabia played … absolutely terrible influence. Sunnis of Syria will be much better off being totally independent of the Saudis .. their money and their Wahabi extremism. The kingdom’s men … Khaddam … Mamoun Homsi … Saad Hariri … all went nowhere. 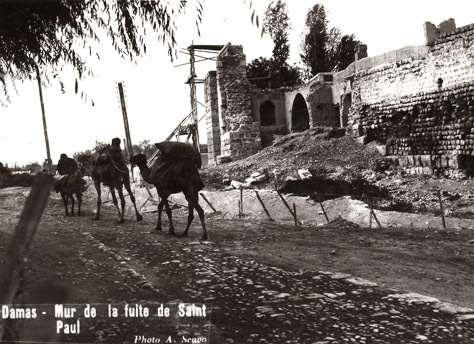 btw ya Shabab (and please excuse my lack of knowledge); what do we call St. Paul in Arabic? I was very young in the early 1970’s when constitution was drafted. I recall that there was an uproar because the first draft did not identify the religion of the president and, i am not sure if it even identified Islam as the main source of law. I think that Hafez Assad, did not want to have a conflict with the MB and their supporters, and the draft was revised. I was very young, but i still recall asking my parents, why should the president be a Muslim? Both of my parents were very upset by the revision even more than their Christian friends. From all these conversations it’s clear that Syria has a healthy religious mosaic but a very fragile one that can easily be shattered. I agree KSA is more dangerous than Iran. The only thing that Majhool and company want is to apply Sharia laws and have their so called good families abuse the rest of the population while he and others studying and visiting the US and the EU . By the Way Majhool , The US is a christian nation , but that does not seem to make you run to live in the KSA, or Egypt . Do you think another leader would be more inclusive? I think that Bashar is rationale. His first priority is to surround himself with people he can trust and who can ensure his survival. Whether he passes the grade when it comes to being more inclusive is not his top priority. It is nice to have rather than must have (loyalty). I am not disputing the rationale behind it. However it’s one thing to understand it, and another to accept it, support it, or see value in it. I want Shari`a law? I am from a so-called good family?! how did you reach these assumptions? you know this is laughable to say the least. Alex, is this an acceptable language? I may not like it. But, I understand it and see the value in it from his standpoint. You and I can theorize from a distance. It is risk free. For him, there is no room for error. The room for making mistakes is very limited. He will therefore play it very close to the vest. I cannot fault you though for not seeing it my way. Fascinating pictures, Alex, as usual…! Towards the bottom, a step by step Q&A on the merits of breaking up Syria into 5 different parts. Druze in the South. Kurds in the North East, Arabs in Aleppo and Damascus and Alawi on the coast. This brilliant Joseph Puder thinks that Baathists are the same as the Moslem Brothers and that both are a threat to the region. Regime change and the breakup of the country into a “federal” Syria. This man must be watching a lot of Scifi. I am not sure I understand Majhool’s point, or most of the rest of the discussion frankly. So, would it have been better if we had a Sunni dictator instead of an Alawite…??!! What is the point…?! Would more Sunnies have felt “represented” then…?! How would you know… how would you ascertain that, without proper elections and opinion polls…?! In fact, I would argue, that if you are going to have a dictatorship, it is better to have one from a “minority” group…! I think that’s at least one of the reasons colonial powers, throughout the ages, in their more enlightened moments, often installed rulers from minority groups in the territories they ruled. A main function of any liberal democracy is to protect the minorities in a country… the majority is perfectly capable of protecting itself. Thus, in the absence of a liberal democracy, a minority rule usually protects the minorities, while at the same time panders to the majority for legitimacy…etc. God knows how much this regime panders to and depends on the consent of the majority to continue…! Can you imagine what would have happened to the Syrian “minorities” had the dictatorship been solidly Sunni…?! You don’t have to imagine… just look at Saudi. Don’t tell me that we would have had a well-educated enlightened liberal Sunni from a “good family” protect and support the “minorities”… such people do not become dictators, my friend… it is a dirty bloody business…!! And, for god’s sake, why do you wish on decent Sunnis to join the mukhabarat and security services…?! Is that the solution… everyone should become corrupt, vile, and tainted with the most hideous crimes…?! How much do you really love the Sunnis…?? The only way forward is to have a proper democracy… and the longer Majhool and his ilk keep whining about “minority rule”, instead of constructively addressing the real issues… the real underpinnings of the regime, which are more widely societal than most around here would like to admit, the longer it will take to reach the real solution…! Fantastic comment. I nominate ALEX as our next president. I know you were a bit sarcastic when you suggested that Majhool wants Sharia law, but … it is easier to stay away from personal analysis of each other. Naji … are you ridiculing Christian Syrian women??!! See … they used to sometimes wear a hijab back then .. we should show these pictures to European and North American anti-hijab activists and legislators. Ehsani … That was a very unconstitutional idea! Surely, a constitutional amendment can be set in motion. Not while all this pandering is going on…! (1) The religion of the President of the Republic has to be: none. (2) Science is a main source of legislation. You are right about stability, but Syria’s dignity? I think most people care about feeding and educating their kids, getting good jobs, and getting visa to other countries easily. At least that’s practical dignity for me. They don’t rally care about their neighbors. Remember, it’s just that simple and poor people are more generous relatively. That sounds like a plan. Alex for 14 years and then your Sunni candidate for the next 44 years. Saudi Investments are sure to pour in. Yeah, just in time for Vice-President Hilary to take over the reins from Barak Hussein Obama. Those whining elk, I tell you. Hmmm… I forget how un-annonymous this forum is becoming… should I be writing crap like the above…?! If you don’t hear from me anymore, please… worry…! اتهم رئيس اتحاد كرة القدم الجمهور السوري بانه احد العوامل الرئيسية التي ادت لخسارة المنتخب في تصفيات كأس اسيا. وابدى الجبان في لقاء تلفزيوني عن نيته لنقل مباريات المنتخب الوطني في المستقبل الى حلب وحمص متهما “بعض جماهير دمشق بالإساءة للمنتخب ولكرة القدم السورية”. تأتي تصريحات الجبان في وقت يواجه فيه الاتحاد اتهامات في المقابل بأنه احد اهم الأسباب التي منعت الفريق السوري من التأهل الى كأس العالم عبر تاريخه. What an excellent question and the points about a dictator from a minority were excellent. It makes so much sense. Now when people mention the minority issue and not mention democracy I would be suspicious of their motive. In fact if one is for democracy the ethnic/religious minority issues is irrelevant. Isn’t it amazing that this can be talked about very openly yet if one favors one nation for palestinians and israelis one is called anti-semite because one is calling for the “destruction” of Israel. Isn’t this a call for the destruction of Syria? WHY DISCUSS ,i dont understand your anti Sunni feeling,i think that you are not a shia so for what reason do u hate Sunnis ?because your hatred toward the saudi regime? WHY DISCUSS ,it’s more often the Syrian Islam that has influence over the Saudis ,the Wahabis in Syria were always few because they were at war with the Ottomans.Today they are more but they remain a small minority in Syria.So the influence is likely to be from Syria on Saudi Arabia…in fact the most influential salafi sheikh in Saudi Arabia is a syrian of Albanian origin . As for the so called revival of Shias …it’s a myth because they are minorities in a Sunni ocean.. ,despite these weak regimes , Sunnism will remain dominant culturaly and religiously,even in Lebanon and Iraq inspite of its strong shia militas…Iraq will never be integrated to Iran .The people of the region not only the arabs but also the turks will refuse this and iraqi shias are more close to the sunni arabs than the iranian regime.In Today Syria ,Alawis and Shias still use taqiyya despite that the regime is alawite since 60’s ( Alex ;Nouredin Atassi was already puppet ,as your good sunnis Khadam ,Tlass,Sharaa,Ahmar,Masharqa,Otri,Abrash,Qadoura…) and it’s true that bashar more his father tries hard to promote shia’ism with the help of the iranian regime but the response will be more hatred toward them.Syria is Ummayad and will remain Ummayad. Alex ,Syria should not avoid the reality ,since the Ummayad it’s a Sunni muslim country with a strong christian identity and syrian muslims will always respect them because they are part of ourselves,but i ask you ,how much christians will remain in Syria when asad regime will end?Before Asad they were 15% Today they are 5% and after 14 years ,they will be ???? Alex,can we say that Asad era has seen the end of a significiant christian presence in Syria? And i add ,that i have no problem to see Alex ,prime minister of Muslim Syria(with an effective power ,not a puppet minister like Otri,Khadam,Sharaa and co …).You are better than Bashar in all fields and more representative of Syria than him. Their numbers have been declining after a number of violent events in the Middle East. The last serious wave of immigration came after the ikhwan targeted minorities, and a smaller number probably immigrated after the sectarian ugliness of the Iraq war and the role that Christian America played in that war. If Bashar is really into converting Syrians into Shia … why did he marry a Sunni woman? .. to convert her?! The fact that Syria has had a sunni Muslim majority for sometime does not make it a “Sunni” nation, nor should it lead to the creation of a “Sunni” state. Such an idea runs contrary to the very concept of civic statehood. And language such as “we will always respect them” when referring to members of other religions is sectarian in nature because it separates the nation in an “us” and a “them”. The solution to Syria and the entire region is the rise of a secular state that treats all citizens as members of a single nation with equal rights and duties. Religion, sectarian background, ethnicity, race, etc. should play no part in the formation or character of such a state. Regarding the emigration of Christians from Syria, this has been an unfortunate occurrence in the entire Middle East and not merely in Syria. Iraq’s Christians are almost no longer existent. Palestinian Christians have emigrated in far greater numbers than Palestinian Muslims. 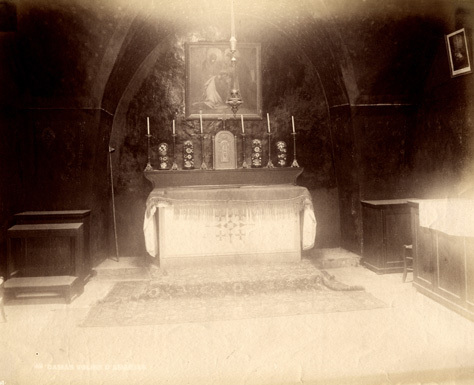 Lebanon used to have a 50% Christian base, which has now dwindled to around 30%. Therefore, I believe pinning the entire thing on Assad is not entirely fair. The fact is that today Christians feel safer in Syria than probably anywhere else in the Arab World. But again, the idea is not that the government should appease Christians or give them special status, nor is it that there should be a “Sunni” state that “respects” and “protects” the Christians. Rather, we should strive to form a secular state built on equality for all. DAMASCUS, July 8 (KUNA) — Directorate for historical landmarks and museums announced here Tuesday it had discovered the earliest wheel known to mankind at a location called Mary at Deir al-Zoar. It also announced the discovery of an ancient palace dating back to the 14th century at a location called Tell Afis in the province of Adlab, where artifacts were found having to do with antiquated burial rituals. Furthermore the directorate indicated it had discovered a plaque dating back to the 12th century with colorful artisitc designs painted on it. An amphitheater has also been discovered at a location named Jabala dating back at least 2000 years. Alex ,i’m sure that they are not more than 5 % and you are aware of this reality ?.One example ….in Aleppo ,the capital of middle eastern christianity, they were 25 % in 1980 ,today 5 %(according to datas from the churches in Aleppo and my eyes and intellect) so what about Syria which has only small christian villages many empty or became muslim and not cities and regions like in Lebanon. Alex,do u deny the complex that have asad family toward the syrian islam? There is no doubt about that.bashar fears us and doesnt fear the zionists. Again Alex you never answered me ,was there any important problem between the brotherhood and the christians in Syrian history ? Was there hatred between muslims and christians before Asad? Nour ,i dont share your ideology but i agree with most if what you said when i say Muslim Syria i dont mean Islamic republic of Syria or theocratic Syria…i’m for a civil state in which all citizens are equals in rights and duties. Nour you said :The fact is that today Christians feel safer in Syria than probably anywhere else in the Arab World. The problems in Syria and in other parts have began with the so called secular and nasserian style regimes.When there was some democracy and freedom ,the christians were the elite in these muslim countries and so was the case of the christians before Asad. Nour,arab christianity only concern Egypt, Syria,Palestine ,Jordan and Irak …During the Khedivial and kingdom of Egypt ,Egypt was a paradise for christians and the richest businessmen in Egypt were syro lebanese christians.In Palestine no problems before the zionist british invasion ….In Jordan the christians live very well ,better than in Syria because of their better economy and better political freedom.No need words for the iraqi context…. Why would I lie? tell me please. I am not worried that if “Sunnis” took over power in Syria they will kill Christians … I am worried about the other minorities … why can’t you accept them as fellow Syrians qho are equal to you in everyway? Alex i’m sorry i was quick ,i removed the word lies. why can’t you accept them as fellow Syrians qho are equal to you in everyway? this is what i said ,i consider them as equal ,even the syrian jews. I’m against an islamic state but a liberal and cosmopolitan counry as was the middle east before the baathi and nasserian coups. Directorate for historical landmarks and museums announced here Tuesday it had discovered the earliest wheel known to mankind at a location called Mary at Deir al-Zoar. So that’s what the Israelis were bombing. True, the wheel is one of the most important technological breakthroughs in the history of humankind… I guess it was a security concern. Israel and Syria, via Turkish mediation, have already outlined an agenda for direct talks, if and when they occur. And a Turkish official involved in the negotiations told Haaretz that the time has now come for such talks. Will next week’s summit of Mediterranean leaders in France give the signal for direct talks by providing an opportunity for a public handshake between Prime Minister Ehud Olmert and Syrian President Bashar Assad? In an interview with Le Figaro this week, Assad was evasive. He said that American involvement is necessary for direct talks, and this is inconceivable as long as George W. Bush remains president. But at the same time, he said that if French President Nicolas Sarkozy demonstrates enthusiasm for Israeli-Syrian negotiations, Assad will be happy to involve him. The main fear now is that after Israeli and Syrian representatives have agreed on an agenda in Turkey, the long waiting period until a new American administration is sworn in may halt the momentum that has been created. Syria, which is interested in moving forward with the talks as long as Israel has a premier who is also interested in talking, might view active involvement by Sarkozy as a suitable interim solution. If that is indeed what Assad decides, it is reasonable to assume that he will not refrain from meeting Olmert at the summit, and will thereby set the next steps in motion. Syria has recently seen its diplomatic status in the region rise due to its involvement in the Doha summit, which produced the breakthrough that is soon expected to result in a new Lebanese government. It is now seeking to use its influence to effect a reconciliation between Fatah and Hamas. In short, Damascus aspires to paint itself as at least as important as Egypt and Saudi Arabia in resolving regional problems. The Syrians recognize the weakness of Israel’s current government, but their assessment is that by talking with Israel now, they could at least obtain an agreed outline of a peace treaty, even if its implementation would have to wait for another Israeli government. Such an agreement in principle would give the next American administration a reason to change its policy toward Syria and end sanctions against it. For Paris to step into Washington’s shoes as an Israeli-Syrian mediator, Assad must first pay his dues in Lebanon. France expects that after the new Lebanese government is established – possibly by the end of this week – Assad will announce the opening of a Syrian embassy in Lebanon, ending Syria’s long-standing refusal to recognize Lebanon as an independent country. Such an announcement may well be made in Paris after a meeting there between Assad and the new Lebanese president, Michel Suleiman. Alex ,we can not avoid the reality of Syria ,the regime is alawite family regime we should say the things as they are,and it is complexed by mistrust toward the majority of the syrian people ,vital reforms are impossible under such paranoid regime ,this is not an healthy situation at all for syria’s future?And be realistic Alex ,it’s more normal for a syrian to hate the alawis ….most of them ignore anything about that there are poor alawite villages ,there are alawite intellectuals in asad prisons and some from al qardaha…that the alawites suffered from this regime,that Sheikh Saleh al Ali was an alawite ,that Badawi al jabal was alawite and were among the first to resist against Baath regime….in the eyes of the normal syrians ,they are corrupt,drunk,brutal officers and well off….this is why this regime is more dangerous for the minorities. I don’t know what you mean exactly by a “paradise for Christians” when referring to the Khedive Dynasty, but under such rule Christians were not regarded as equal to Muslims. In addition, when Mohammad Ali extended his rule into Syria, the Syrians ended up revolting against him due to his corrupt rule, which led him to suppress and terrorize Syrians. I’m not sure if you’re really yearning for those days. With respect to your question about Assad killing more Christians than anyone else, I’m really not sure how you arrived at this conclusion. You merely mentioned Hama, where Assad did not target Christians, although some Christians may have lost their lives in the attack. I certainly do not support the regime’s killing of innocent people during that conflict, but the same has happened in just about every country where one group has attempted to overthrow the government by force. In addition, the killing of Christians and intellectuals was a modus operandi of the Muslim Brotherhood, who repeatedly targeted and terrorized people having nothing to do with the regime. Finally, regarding Jordan, I agree that Christians there are doing relatively well, but let’s not forget that Jordanian Christians make up only 3% of the population, down from 5% 30 years ago. That’s a 40% decrease. “better political freedom” in Jordan for Christians? What have you been smoking? I second Alex’s question why are you so focused on religion if all you want is a cosmopolitan Syria? I think there is an economic class issue here. The ones who have a fond memory of pre-Baathism tend to be from the previous elite classes. BTW, I’m not saying the Baathist era is that great. Let’s not kid our selves pre-Baathism wasn’t that great either. However, I it was a tragedy that Syria’s experiment with democracy ended because of Nasser and pan-Arabism. Nour,of course if the SSNP had took the power …the situation would be the same than under the nasserian and baath regimes….fascistic ideologies are foreigner ideologies to our culture,the jews are ahl kitab and nobody should be allowed to make racist remarks against them as it’s the case in the SSNP ideology,which attack the jews as people and not only attack the zionist ideology..and btw you should read 19th middle eastern century history more accurately ,it was not Mohamad Ali but his son Ibrahim Pasha who invaded Syria…and he was the opposite of an anti christian ….it’s very known fact. Let’s not forget that Islam was a foreign ideology to Syria. Just because it’s foreign it doesn’t mean it’s wrong. Foreigness is an insufficient condition to discard something. I’m very suspicious with the SSNP fascistic tendencies. I agree there. So what should we do with the non-ahl al-kitab? Who are the non-ahl al-kitab? Who will be judging who is and who is not? Ugarit ,we believe as muslims that the first Muslim was Abraham who was the father of Ismail ancestor of Muhamad. Btw,What i meant is that Fascism was imported to our region and not product of our culture. So what does that have to do with my question with ahl al-kitab? So let me repeat: So what should we do with the non-ahl al-kitab? Who are the non-ahl al-kitab? Who will be judging who is and who is not? Let me ask you would you rather live in Fascist Italy or Saudi Arabia? Ugarit,ahl kitab is a dogma in Islam and i was answering to the racist SSNP ideology which attack the jews as people…but we have also ishtihad or the use of reason according to the context …so after ishtihad we can say that the concept of a civil state and democracy are acceptable in this time. Ugarit forget a little Saudi Arabia and be realistic ,you can not change a 90 % beduin society in some years ….it’s not fair to compare them to Syria,Egypt or Italy.In reality they have now good intelletuals and many of them seculars,and many women in their intellegencia …so they are far better than 40 years ago ….Syria and Egypt are in worse situation than 50 years ago. Again why do speak of ahl al-kitab when you claim that a civil state is fine? What happens to the Druze, Alawis, Ismaelis, are they Muslims or zanadeeq in this so called dogma? Since you claims Syria is worse now can you give me the literacy rate and life expectancy of a Syrian now compared to 40 years ago? Ugarit:Again why do speak of ahl al-kitab when you claim that a civil state is fine? What happens to the Druze, Alawis, Ismaelis, are they Muslims or zanadeeq in this so called dogma? Ugarit,the 5 pillars of Islam are known and if they accept these pillars so they are muslims . Btw this is not important,we are in 21th century ,we belong to the same homeland and we should write a consitution based on the universal values.Ugarit ,the problem is not me ….the more our people has good education ,good economy and freedom the more he is moderate .This explain why the syrian or the egyptian people were moderate before the one party system dictatorships. You still avoid my question about ahl al-kitab. Your silence is loud and clear. Why do you avoid it? I agree with you about comparisons and that’s why you should be careful about saying Syria was better 40 years ago. Ouch, a Marxist. I hate all dogmas. It creates a closed mind. I disagree that pharmaceuticals are the cause of extended life expectancy. Access to clean water, clean food, safe shelter is a bigger factor than medicine. Glad to hear that ijthad is still open. I’ve heard that it was closed about a thousand years ago. DOHA, Qatar — In the past month, after Qatari diplomats brokered a landmark peace deal for Lebanon in talks here, this tiny emirate on the Persian Gulf has enjoyed a brief moment of giddy celebrity. Clockwise from top left, Sheik Hamad bin Khalifa Al Thani, Qatar’s emir, with Hugo Chávez of Venezuela, Mahmoud Ahmadinejad of Iran, President Bush and Bashar al-Assad of Syria. Editorialists praised the Qatari emir as a modern-day Metternich. Huge billboards went up on the road to the Beirut airport, proclaiming, “We all say: Thank you Qatar.” An ice cream shop in downtown Beirut put out a sign offering a Doha Agreement Cone. But the Qataris did not linger over their diplomatic triumph. They were too busy trying to solve every other conflict in the Middle East. In the past year alone, the Qatari foreign minister, Hamad bin Jassim bin Jaber Al Thani (widely known as H.B.J. ), has flown his jet — repeatedly — everywhere from Morocco to Libya to Yemen, using charm, guile and large amounts of money to mediate disputes, with varying success. This work has not always earned him gratitude. In an increasingly divided Arab world, the Qataris have fashioned a reputation for themselves as independent-minded arbitrators who will cozy up to anyone — Iran, Israel, Chechen separatists — in pursuit of leverage at the bargaining table. “We don’t have an agenda, and we don’t keep all our eggs in one basket,” said Hassan al-Ansari, the director of gulf studies at Qatar University. That is putting it mildly. Qatar has close ties with Iran, yet it also is host to one of the world’s biggest American air bases. It is home both to Israeli officials and to hard-line Islamists who advocate Israel’s destruction; to Al Jazeera, the controversial satellite TV station; and (at least until recently) to Saddam Hussein’s widow. Saudi Arabia is a trusted ally, but so is Saudi Arabia’s nemesis Syria, whose president, Bashar al-Assad, received an Airbus as a personal gift from the Qatari emir this year. “They really put all the contradictions of the Middle East in one box,” said Mustafa Alani, a security analyst at the Gulf Research Center in Dubai. The Qataris also back their diplomacy with some eclectic investments. Many Americans know about the emir’s gift of $100 million to help Hurricane Katrina victims, but Qatar is also building a $1.5 billion oil refinery in Zimbabwe, a huge residential complex in Sudan and a $350 million tourist project in Syria. Some call Qatar’s policy deranged. The Qataris prefer to think of it as useful. Blessed with enormous oil and natural gas reserves, Qatar is surrounded by large and ambitious neighbors: Iran, Iraq and Saudi Arabia. Diplomacy has become a way for Qatar to protect itself and its riches, by forming alliances and by trying to stabilize the region. It does make them cross. American officials have been quietly furious about Qatar’s assistance to Iran and Syria, which includes substantial financial investments as well as votes against sanctions on Iran during Qatar’s tenure on the United Nations Security Council. The Americans are also angry about Qatar’s hefty financial aid to the militant Palestinian group Hamas after it won elections in 2006. The Russians have complaints too. Qatar provided sanctuary to the Chechen rebel leader Zelimkhan Yandarbiyev until two Russian secret agents killed him in 2004, detonating a bomb in his car as he left a mosque in Doha. The agents were captured by Qatari authorities and convicted of murder, but later extradited at Russia’s request. Various Arab governments have also at times lost patience with Qatar, mainly because Al Jazeera, founded by the Qatari emir, broadcast criticisms of them. Saudi Arabia broke diplomatic relations with Qatar over this issue in 2002, and they were not restored until 2007, after Qatar promised to rein in coverage of the kingdom. There is also some anger among Arabs about the warm welcomes received by Israeli officials in Doha, where Israel also maintains a trade mission — located, as it happens, not far from a villa owned by Khaled Meshal, the leader of Hamas. At times, Qatar’s multifaceted approach to the world has bordered on comedy. In March 2003, Qatar hosted a meeting of the Organization of the Islamic Conference aimed at forestalling the American invasion of Iraq, even as preparations for that invasion were taking place nearby at the American military base. As the final communiqués were being read, military cargo planes could be heard soaring overhead. Mr. bin Jaber, the foreign minister, who is also prime minister, has been coy about the details of Qatar’s unusual diplomacy. He has given some interviews in which he says Qatar wants “good relations with everyone” and defends his country’s relationship with Israel. He declined to be interviewed for this article. Qatar’s policy was born in 1995, when the current emir, Sheik Hamad bin Khalifa Al Thani, carried out a bloodless coup against his father, who was on vacation in Switzerland. The new emir instantly began transforming Qatar from a sleepy, inward-turned backwater into a dynamic new state. At home, he began an ambitious remodeling of the emirate’s education policies with the help of his wife, Sheikha Mozah bin Nasser al-Missned. Abroad, the emir and his cousin, Mr. Jaber, began building a bold new way to engage with the world while maintaining their country’s independence. “They are not a threat to anyone, and there is no strategic interest behind their diplomacy aside from the moral gain,” said Mr. Alani, the Dubai analyst. Qatar also has an absolute monarchy and virtually no domestic dissent. It is therefore free, unlike almost every other country in the world, to pursue iconoclastic policies abroad without worrying about how they play at home. The fact that Qatar also has the world’s highest per capita gross domestic product, at more than $80,000, probably helps to keep things quiet. Unlike some other countries in the region, Qatar has had only one terrorist attack, a suicide bombing in March 2005 in a Doha theater popular with Westerners. One British citizen was killed and a dozen other people were wounded. Despite occasional diplomatic problems and frequent complaints, Qatar’s policy seems to have worked, catapulting the country to new levels of recognition around the globe. The Qataris’ greatest success by far was the Lebanon agreement in May. Every major power with an interest in Lebanon had tried to resolve the country’s 18-month political crisis. All of them failed, in part because all were seen as favoring a particular group within Lebanon’s political mosaic. Qatar, with its policy of favoring everyone and no one, was the obvious choice for a mediator when violence worsened in May. But Qatar did not succeed by default. Several Lebanese politicians who took part in the negotiations praised both the Qatari foreign minister and the emir for their skill. “They made an interesting and subtle diplomacy,” said Walid Jumblatt, the Lebanese Druse leader. According to Mr. Jumblatt and others involved in the negotiations, the Qataris started out by letting the various Lebanese parties vent their grievances. Days later, when negotiations seemed at an impasse, the Qatari emir — who had sought and been given permission to speak on behalf of all the major regional powers with an interest in Lebanon — abruptly changed his tone. He gathered the Lebanese leaders and issued a stark warning: This was the last chance. Everything else had been tried, and if the deal fell through, they might as well begin a civil war at once, because there was no other option. That warning appears to have worked. It has also had a fringe benefit for the Qataris themselves, whose reputation has grown just a bit brighter. Most native Qataris are wahhabis… and they helped beyond expectations the Shias in Lebanon and are friendly with Iran. No wonder Saudi Arabia look at them with high suspicion. Situated 20 miles outside Damascus, Saydnaya is a military prison and one of the largest in Syria. Built in 1987 to host 5,000 prisoners, today it holds twice that. Yet as terrible as conditions at Saydnaya may be, other Syrian prisons are often worse. NOW Lebanon recently talked to Syrian poet and ex-prisoner Faraj Bayrakdar, who spent four years in the isolated desert prison of Tadmur, and a further ten in Saydnaya. “The conditions in Saydnaya are much better than any other jail I’ve been to. We were at least entitled to books, papers, and radios. I’m not saying that it is a comfortable prison, but the treatment was not as cruel as in Tadmur,” he recalled. After a book of his poetry in prison was published, an international campaign was launched calling for Bayrakdar’s release. Syria initially denied holding Bayrakdar, but when increasing political pressure made this impossible the regime told Amnesty International that Bayrakdar was imprisoned because he was a terrorist, although there is no proof of his having any contact with terrorists or ever advocating violence. Though Syrian writers and journalist unions consistently denied the presence of Baryakdar, or any other journalist or writer, in the country’s prisons, his fame spread. In 1998, Bayrakdar won the Hellman-Hammet Award and in 1999 and International PEN Award. International pressure finally secured his release on November 16, 2000. “Poetry had helped me to imprison my prison. Poetry, love, and my desire to preserve my dignity as a human being helped me not to collapse, and made the prison experience easier to resist,” Bayrakdar added. You are right not to understand my point. This is because I am not trying to make one. Naji Said: I am not sure I understand Majhool’s point, or most of the rest of the discussion frankly. So, would it have been better if we had a Sunni dictator instead of an Alawite…??!! What is the point…?! Would more Sunnies have felt “represented” then…?! How would you know… how would you ascertain that, without proper elections and opinion polls…?! Egypt, Morocco, Tunisia, and Jordan all have Sunni dictators in power, I will leave it to your imagination (for the lack of reliable data) to compare the sentiment there to that in Syria. I can tell you from my own experience socializing with some of the people there, that the sentiment towards the regime in Syria is quite different. Although they acknowledge that their rulers are corrupt and undemocratic the people there have a sense of ownership of their country. Sunni Syrians for whatever reason feel alienated and marginalized. Naji Said: In fact, I would argue, that if you are going to have a dictatorship, it is better to have one from a “minority” group…! I think that’s at least one of the reasons colonial powers, throughout the ages, in their more enlightened moments, often installed rulers from minority groups in the territories they ruled. Nice argument, however I doubt that is rooted in reality, was the shah of Iran a minority? King Saud? Sharif Hussien? Hashim Atassi? Obviously the protection of minorities is one of the main functions of a democracy but not the only one. And to sacrifice all the other function under the pretext of “protecting the minorities” is not quite where we want to be. Naji Said: God knows how much this regime panders to and depends on the consent of the majority to continue…! Yeah, I believe only God would be able to know as reality does not support what you are saying. Naji Said: Can you imagine what would have happened to the Syrian “minorities” had the dictatorship been solidly Sunni…?! You don’t have to imagine… just look at Saudi. Hmmm, now this is a tipping point in fallacy. The King of Jordan is a Sunni and a dictator and let me assure you that minorities such as Christians and sharkas are the darlings of the royal court. Naji said, Don’t tell me that we would have had a well-educated enlightened liberal Sunni from a “good family” protect and support the “minorities”… such people do not become dictators, my friend… it is a dirty bloody business…!! Since I am not supporting the notion of a Sunni dictator I am not sure what to say. But since you brought it up let’s recall the first Syrian dictator was Adib Shishakly ( a sunni). To my knowledge Minorities were not teated bad back then. Naji said: And, for god’s sake, why do you wish on decent Sunnis to join the mukhabarat and security services…?! Is that the solution… everyone should become corrupt, vile, and tainted with the most hideous crimes…?! How much do you really love the Sunnis…?? This is music to my ears. But would that naturally bring sunnis to power? But that aside, How do we bring about democracy without undermining the dictatorship? Naji Said: and the longer Majhool and his ilk keep whining about “minority rule”, instead of constructively addressing the real issues he real underpinnings of the regime, which are more widely societal than most around here would like to admit, the longer it will take to reach the real solution…! Hmm, I guess you and your ilk want to me and my ilk to address the real issues. Great. Now what is the forum to address these issues? Can I run for office? Can I publish a newspaper? Open a reform forum (Attassi Forum comes to mind)? Hold meetings of intellectuals (Jailed Dalilah and others come to mind) you tell me and I would do it. i also support an amendment to the constitution to elect Mr. Alex ( our expatriate minister of culture and information whome i disagree with him almost always) …But wait a minute, we live under emergency laws and the constitution is suspended anways. I say we vote him in right away. While all dictatorships are bad, I think that if Syria had a sunni dictator we would have been better of. The reason is that the current situation in Syria is an extremely unstable equilibrium. Any loosening of the grip of power by the dictators could create a major uprising that will lead to a civil war between an angry majority and an extremely well armed minority. This makes the Alawi interest tightly aligned with the Assad-group., as they fear major reprisals in case of change. The Assad-group has put the Alawis in a Tariq bin Ziad conundrum: face an angry revenging majority or side with a bloody dictatorship. The possibility of a gradual and peaceful transition seem very slim. While it is possible for Egypt to slowly move into a democratic state, it is virtually impossible for Syria. this talk of sunni, shia christian stuff really bothers me. i know its “normal” and the “reality of the situation” but i hope i will never get used to it and that it will continue to give me the creeps. i would also like to note that as close-knit as we might think we are in Syria. Iraq, Lebanon and other countries in the region taught us how fragile our tolerance of sectarian diversification is. I know that Syria is different but we still haven’t been tested though serious civil strife. But if we do, god forbid, i regretfully think that the dynamics would change completely and that Christians along with other minorities would leave the country quiet quickly. It only takes a handful of hateful voices to make a loud noise in such scenarios and the general population in the arab world has been apathetic too long to do anything to counter it. First, you shouldn’t comment on SSNP ideology before fully understanding it. Calling it fascistic only demonstrates your complete lack of understanding of both Social Nationalism and Fascism, which are contradictory ideologies. Regarding the SSNP’s position against Jews, it is a position against the Jewish ideology, which calls for the destruction of our nation, as is spelled out in their Torah. However, the SSNP calls for the inception of a secular state, where all citizens would be treated equal, as opposed to islamic states where non-Muslims, or ahl el-dhimmi are treated as second class citizens. As for your argument that “hatred” of Jews is a foreign concept to Islam, I would urge you to check the Qur’an again which considers Jews “ashad el-nasi 3adawatan lillazeena amanou.” The anti-Jewish verses in the Qur’an are much more than Saadeh ever uttered, so spare me your lectures. That’s what Karim was alluding to, i.e. the anti-Jewish tendencies of the SSNP. You seem to have proved his point. While I do not underestimate the risk of sectarian violence spilling over to Syria from neighboring countries, I think that The civil war in Lebanon, the Iraq war, and the ikhwan confrontation with the regime are still fresh in the memory of most Syrians … lessons were learned not only by hte Lebanese people who did not fall into a new civil war this year, but also by the Syrian people who did not get motivated by any of the calls for uprising from their “Syrian opposition”. Remember also how orderly it was to make the transition from late president Assad to Bashar. I remember at the time many were predicting that Syrian Sunnis will take that opportunity to make a move to overthrow the regime… or that the carefully balanced power centers in Syria were about to take on each other in a violent fashion as they compete to control Syria after Hafez Assad passed away. None of that happened… no one was selfish enough (or foolish enough) to take the country into violence. There is a risk, and we need to be careful … but it is not as wild as some here are proposing. واضح ان هناك جواً جديداً في علاقة سورية بمحيطها الإقليمي والدولي قد يصل في بعض جوانبه الى حدود «إعادة تموضع» دمشق وتحصين موقفها التفاوضي استعداداً للمرحلة المقبلة التي سيكون عنوانها الأساسي خروج إدارة الرئيس جورج بوش من البيت الأبيض في بداية العام المقبل. بدأت معالم المناخ الجديد من استضافة دمشق القمة العربية في نهاية آذار (مارس) الماضي والدروس المستفادة من مستوى التمثيل. إذ نجحت دمشق في عقد القمة بحضور ممثلين عن جميع الدول باستثناء لبنان وبعدد كبير من القادة العرب. واستطاعت الديبلوماسية السورية تمرير القمة بأقل مشاكل وصدامات ممكنة وببيان ختامي إجماعي مع ترحيل المشاكل الإشكالية. لكن، في الوقت نفسه، كان واضحاً غياب قادة دول مهمة كبرى مثل مصر والسعودية والأردن والبحرين واليمن. وبعد انفضاض القمة وبقاء»الدروس المستفادة»، تجمعت جملة من العوامل الخارجية والمحلية بينها قرب رحيل إدارة بوش وتوفر «نافذة فرصة» للاعبين الإقليميين والدوليين لترتيب الأمور قبل وصول إدارة جديدة، وبروز صعوبات اقتصادية داخلية لا تحل إلا بتحسين العلاقات الاقتصادية مع دول عربية وأوروبية. أولاً، اتفاق الدوحة بين الفرقاء اللبنانيين لحل الازمة. نجحت دمشق مع خروج الرئيس جاك شيراك من «الاليزيه» في جلب إدارة الرئيس نيكولا ساركوزي الى اتصالات ثنائية لحل الازمة اللبنانية في العام الماضي. قدمت مقترحات عربية وفرنسية، لكن الموقف السوري كان ان حل الأزمة يجب ان يكون بـ «سلة متكاملة» تتضمن الاتفاق على انتخاب العماد ميشال سليمان رئيساً وتشكيل حكومة وحدة وطنية بتوفر «الثلث الضامن» وإقرار مبادئ لقانون جديد للانتخابات. كانت فرنسا – ساركوزي تريد البدء بانتخاب الرئيس سليمان. وكانت دمشق تريده عبر «سلة متكاملة». وعلى هذه الخلفية. قطعت الاتصالات السورية – الفرنسية نهاية العام الماضي. لكن اشتباكات بيروت الاخيرة، دقت الأجراس في اكثر من اتجاه. برز قلق سوري من منعكسات التوتر الأمني اللبناني على الوضع الداخلي، ترافق مع قلق فرنسي على الوضع اللبناني عموماً مع تساؤلات قوى أخرى على مصير النظام السياسي وتحالفاته مع تراجع للدور الاميركي. كانت تلك هي الظروف الناضجة لإقرار اتفاق الدوحة. ثم استكمل بخطوة ملموسة عبر انتخاب الرئيس اللبناني، ما أزال المبرر المباشر الذي كان أعلنه الرئيس ساركوزي لقطع الاتصالات مع دمشق، فوفى بوعده بادئاً «انفتاحاً مبهراً» مع دمشق. ثانياً، المفاوضات غير المباشرة بين سورية وإسرائيل. ليس جديداً القول، ان الاتصالات بدأت عندما زار الرئيس بشار الأسد أنقرة مطلع 2004. ثم تكثفت بعد حرب صيف عام 2006 لدى قيام رئيس الوزراء التركي رجب طيب أردوغان بزيارة شمال سورية. كان التوافق السوري – الإسرائيلي عبر الوسيط التركي قائماً على بدء اتصالات غير مباشرة. الخلاف كان حول التوقيت وليس المبدأ. لا شك في ان الغارة الاسرائيلية على شمال سورية أخّرت الموعد. كما ان العدوان الإسرائيلي على قطاع غزة «مسّ التوقيت ولم يهزّ مبدأ التفاوض». كان الأمر في حاجة الى تهيئة الرأي العام الشعبي ومؤسسات النظام والحلفاء الإقليميين. لذلك، لم تكن صدفة ان الأسد تحدث خلال خطاب القسم في تموز (يوليو) العام الماضي عن «طرف ثالث نثق به» يجري اتصالات للتمهيد لمفاوضات مع إسرائيل، ثم ابلغ اللجنة المركزية لحزب «البعث» الحاكم بوجود تعهد من أردوغان بانسحاب إسرائيل الكامل من الجولان. كما اطلع الجانب السوري حليفه الإيراني على قراره المضي في المفاوضات لان دمشق «لن تفوت فرصة لطرح القضية الوطنية المركزية المتمثلة بالجولان» سواء لدى قرار إرسال نائب وزير الخارجية فيصل المقداد الى مؤتمر أنابوليس في تشرين الثاني (نوفمبر) الماضي او لدى بدء المفاوضات غير المباشرة في ايار (مايو) الماضي. كما جرى اطلاع حركة «حماس» و «حزب الله» على الأمر. تركت هذه المفاوضات أثراً كبيراً في المشهد السياسي الاميركي خفف من تعنت المحافظين الجدد، فتحول الموقف الاميركي من «الفيتو» الى الاكتفاء بعدم الرعاية المباشرة لهذه المفاوضات. كما أعطت هذه الخطوة رسالة قوية الى أطراف دولية وإقليمية: ان سورية عامل تهدئة وليس لرفع التوتر. ثالثاً، التهدئة بين «حماس» وإسرائيل: سبق ان جرى التوصل بوساطة مصر الى تهدئة في بداية 2005 ثم مددت تلقائياً بعد فوز «حماس» في انتخابات 2006. لكنها المرة الأولى التي تنجز تهدئة كهذه، والاهم الأبعاد السياسية لهذه التهدئة، إذ أن وفداً من «حماس» زار طهران وسمع رفضاً إيرانياً لتهدئة كهذه، غير ان سورية حضت الحركة على التهدئة لأن هذا يخفف العبء عن الشعب الفلسطيني ويدعم الرئيس محمود عباس في مفاوضاته مع إسرائيل ويخفف التوتر في قطاع غزة، ما يخفف من إحراجات المفاوضات غير المباشرة مع إسرائيل. الأهم، ان الجهود السورية تدل على ان دمشق «عامل تهدئة ولا توتر». رابعاً، مشروع «الاتحاد المتوسطي». طرح الرئيس ساركوزي هذا المشروع في حملته الانتخابية في شكل فضفاض. جرى تعديله بتنسيق مع الجانب الألماني الى ان اصبح مشروعاً أوروبياً في آذار (مارس) الماضي. قدم الى الدول العربية. 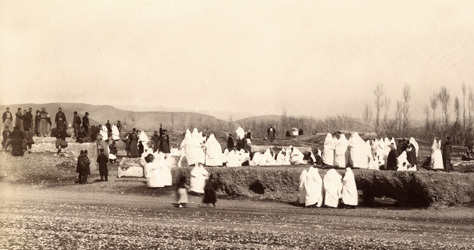 كان هناك اعتراض سوري كبير على نسخته الأولى ثم خفف الى ان وصل الى إمكانية الانخراط مع إجراء بعض التعديلات فيه «كي لا يتحول الى منبر للتطبيع المجاني» مع إسرائيل. كما أدخلت تعديلات لتوسيع البعد السياسي فيه، لربطه بعملية السلام وأسس مؤتمر مدريد ومبدأ الأرض مقابل السلام، بحيث يشكل عاملاً لدفع الأطراف الأوروبية للانخراط في تسوية الصراع. عليه، سيكون الرئيس الأسد بين زعماء نحو 49 دولة تشارك في القمة المتوسطية في باريس في 13 الشهر الجاري. إذاً سورية «جزء من الحل وليس المشكلة». وفي إمكانها المساهمة في حال الانخراط معها وليس عزلها. وباعتبار ان الرئيس ساركوزي، الذي ترأس بلاده الاتحاد الأوروبي في النصف الثاني من العام الجاري، مهووس بالمشروع الأوروبي، والنجاحات السريعة تمكن المفاوض السوري من الحصول على «تنازلات» فرنسية قبل المشاركة في القمة المتوسطية. خامساً، موافقة سورية على استضافة مفتشين من «الوكالة الدولية للطاقة». لدى دمشق شكوك كبيرة في خلفية قرار ادارة الرئيس بوش تخصيص جلسة للاستماع الى شهادات في الكونغرس في شأن مزاعم عن برنامج نووي. القناعة الرسمية السورية ان إدارة بوش تريد تكبيل الإدارة المقبلة لمنعها من الانخراط مع دمشق. وزادت الشكوك لدى نقل الأمر الى الوكالة الدولية للطاقة، وتعززت هذه الشكوك لدى مطالبة واشنطن تفتيش مواقع عسكرية أخرى. إذاً، سورية أمام «سيناريو عراقي» محتمل، بحسب قناعة محلليين رسميين. هل يكون الحل برفض التعاون أم بالتعاون الفني المضبوط إعلامياً؟ كان القرار هو الخيار الثاني، إذ وافقت سورية على استضافة المفتشين بين 22 و24 الشهر الماضي، وزاروا موقع «الكبر» الذي كان تعرض لغارة إسرائيلية وأخذوا عينات. وقال وزير الخارجية وليد المعلم انه لو كان لدى سورية برنامج نووي لما سمحت للمفتشين بزيارة الموقع. يفترض ان ينتزع هذا ذخيرة من أيدي قوى تسعى الى ممارسة الضغط على دمشق. في مقابل هذه التطورات الخمسة، لا يزال العراق غائباً عن المشهد السوري الآني والخطاب السياسي. كان العراق حاضرا بقوة في نهاية 2006 عندما بدأت عملية تطبيع أسفرت عن زيارة وزير الخارجية بغداد وتبادل التمثيل الديبلوماسي وقيام كبار المسؤولين العراقيين بزيارة دمشق، بالتزامن مع استضافة العاصمة السورية مؤتمرين لخبراء الأمن في الدول المجاورة للعراق وتشديد الاجراءات لمنع تسلل مقاتلين الى العراق. بحسب المعلومات المتوافرة حالياً، عادت أميركا الى توجيه اتهامات لسورية بإيواء «شبكات إرهابية». كما قامت حكومة نوري المالكي بتجميد الصفقات الاقتصادية المتعلقة بمد أنبوب الغاز من كركوك الى بانياس وأنبوب الغاز من حقل عكاس الى الشبكة السورية. كما تنوي حكومة رئيس الوزراء البريطاني غوردن براون عرقلة الانفتاح الأوروبي وتحويله الى سياسة أوروبية موحدة. في المقابل، تطالب سورية بتوفير «المظلة السياسية» للتعاون السوري – الاميركي وتقول إنها قامت بإجراءات أمنية كبيرة لمنع التسلل وان الجانب العراقي لا يقوم بواجبه على جانبه من الحدود. وهناك من يعتقد ان العراق متروك الى الإدارة الأميركية الجديدة كي تفاوض سورية من موقع قوي، خصوصاً ان دمشق تنتقد عدم تقدير الجانب الاميركي جهودها الإيجابية في تحسين الوضع الأمني. لكن، سيكون مفيداً جداً ان تعيد الدبلوماسية السورية تقديم خطاب مركز وصوغ رؤيتها إزاء الشأن العراقي وما يمكن ان تقدمه في «الحل العراقي». مثلما نجحت في وضع المسار السوري على الأجندة السياسية لأي إدارة مقبلة تأتي الى البيت الابيض، يمكن فعل الشيء ذاته بأن يجد فريق الرئيس الاميركي الجديد سورية جزءاً من مفاتيح الحل لدى البحث في ربيع العام المقبل عن «مخرج مشرف». كما ان هذا يساهم ويخفف من المنعكسات السلبية لأي انهيار يحصل في اي ملف من الملفات الخمسة التي حققت دينامية إيجابية في الأسابيع الاخيرة. Majhool, your comments were great, balanced and well reasoned. I commend you on your politeness and on your patient in controlling your tone in opposition to many and even sometimes provoked discussion. However, I still prefer to hear majority (instead of “Sunni majority”) in describing the people who are affected by minority and sectarian rule. And thank you enlightened for reminding everyone with the reality of the oppressive regimes against their own people, which in reality those regime are fighting themselves by insisting on being part of the past and does not want to move forwards on human rights. Human’s rights abuses in the past 40 years in Syria are a hidden file and we heard fraction of the stories which belong to Arabian Nights not to this age. You mentioned the communist guy, but still there are the Islamists, the Assyrians, the Kurds and the list goes on and on. One of my relative, a student in last year in dentistry, in the 80s, subjected to torture and lost his mental accordingly (even he is a Bathist) for a visit he made to Iraq. I think it time to show those indivisible stories and hold the life of one person as an indictment to the whole system, we had enough from stepping on the humans lives in the name of defending the nation. Can anybody explain to me what this mean and it’s impact on non Muslim inhabitants of Syria. I wasn’t trying to hide anything. The SSNP has a clear position against Jewish ideology, as laid out in the Torah, and as spelled out by many Jews. I know people want us to pretend that the annihilistic language in the Torah, on which the Jews have based their return to Palestine, does not really exist, but it simply does. Read Israel Shahak’s “Jewish History, Jewish Religion” to understand what the Jewish ideology is all about. If we are opposed to such a thought, I don’t see what the problem is. What I’m pointing to in my post is that the Qur’an has an even harsher view of Jews, so how can Karim claim that a position against Jewish ideology is contrary to Islam. There are parts of the Qur’an that are unacceptable in the 21st century. So is the SSNP against “Jewish ideology” and “Muslim ideology” since both have troubling tendencies? In fact, every religion has troubling aspects. It is stable because there is a feedback loop that makes the system stable. However, if that feedback loop is severed then divergence is quite rapid. We have to be vigilant that the feedback loop is always alive and well. What is the feedback loop in this case? how could it be severed, and what other safety mechanism can one add to the System to provide a backup to the essential feedback loop? Are you speaking computer language. You are far over my head . Yes … I am happy to find another engineer here among all of you physicians and historians. Of course Nour fascism and national socialism(which remind us Hitlerism or Nazism) have different origins ,but today it has different accepted meanings used to designate the regimes based on totalitarism ,dictatotship and one party system.In fact these ideologies are not very different they have a lot in commmon. As for the anti jewish rhetoric in the Islamic context,it’s stupid and i’m against but it’s not very old and is related to the Zionist occupation of Palestine.If as you said the muslims were ordered by their writings to hate the jews so how could you explain that the jews have always lived with dignity and respect in the Islamic states from the Ummayad to the Ottomans and they prospered economically ,intellectually and spiritually in it. Many persecuted jews had found in the Ottoman empire their safe haven.Also the most important jewish thinkers and philosophers lived in the Islamic world ,like Maimonide or Mousa Ben Maymoun who was the physician of the great Salahudin. If there is a religion that created the hate of the jews it is the christianity and in particular the Catholic church. They have carried that irrational idea that the jews were responsible for the death of Jesus and instigated hatred in the teaching of the christian religion. That hatred has been behind the antisemitic laws and attitudes in all christian countries which culminated in the Holocaust. In contrast, while there could be in the Koran (I don’t know) negative elements about the jews, this was never reflected in social laws or attitude. The irony is that now Israel’s ennemies are the ones who never discriminated them or massacred them and their allies are their former executionners. No problems. I think we need to temper some of the adulation (here on this site) of The Syrian Governments Fan club. The article I posted was just a reminder to all and sundry here, that while the Government has been performing well on foreign policy and some economic reforms, we should not lose sight of the fact, that free speach and association is till a taboo subject in Syria ( but still not mutually exclusive and not only a Syrian problem in the Arab world). This mans story touched my heat a little, because it reminded me a little of a man I had met 10 years ago, who was kidnapped for his political activities in Syria and spent 3 years in Prison in Syria, some of his tales of torture were harrowing. And he clearly suffered for it. Anyway the Battle for free speach and Human rights. Its not a battle that will be won easily.